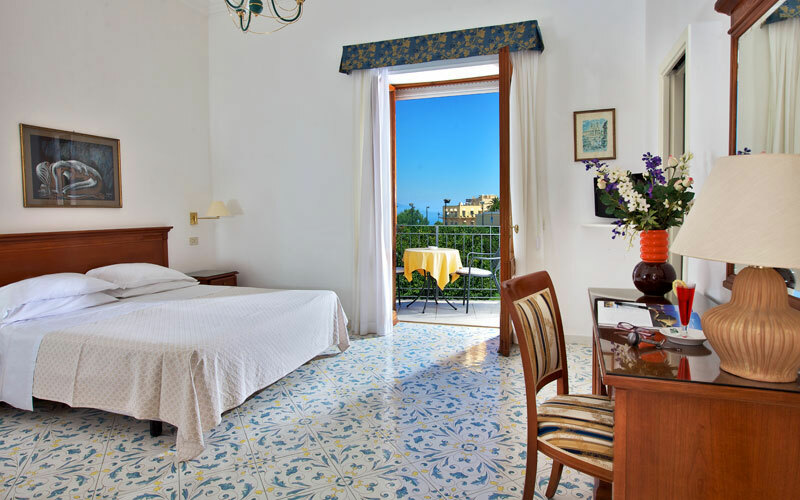 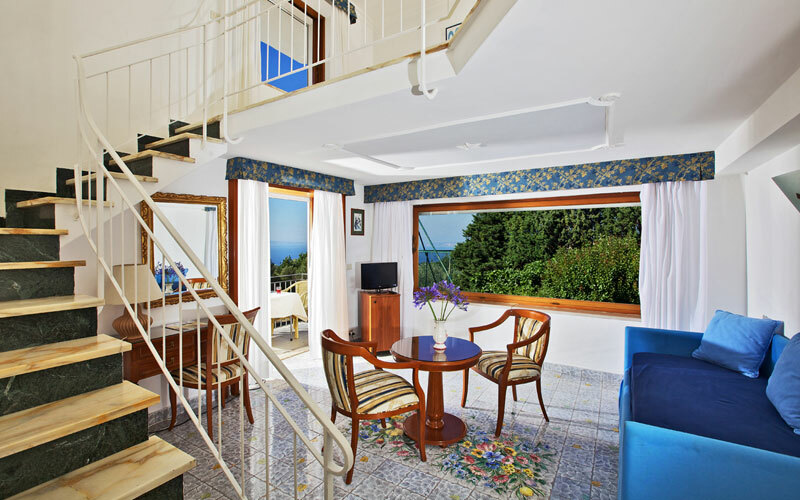 Hotel Bellavista Capri: 3 reasons to book here | Capri Booking. 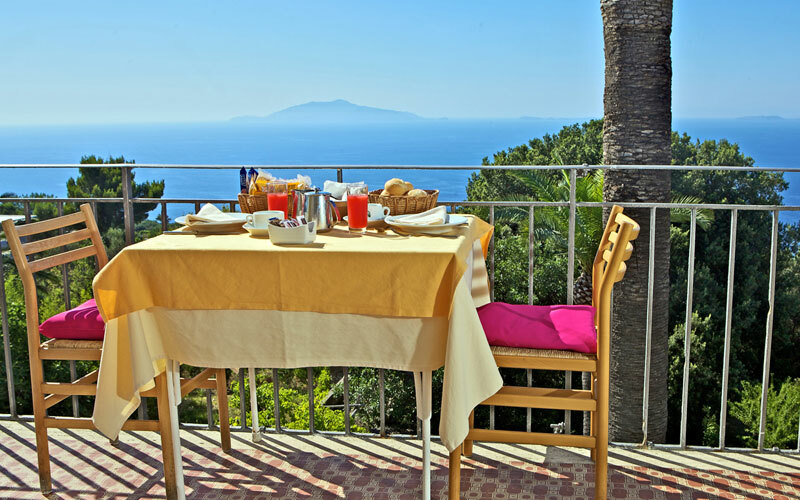 On the cliff edge, directly above the sea, Anacapri's Hotel Bellavista occupies one of the most panoramic positions on the whole Island of Capri. 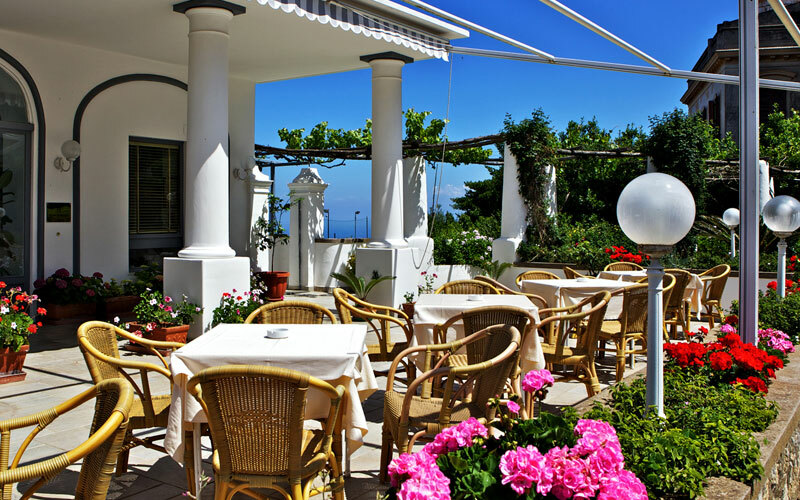 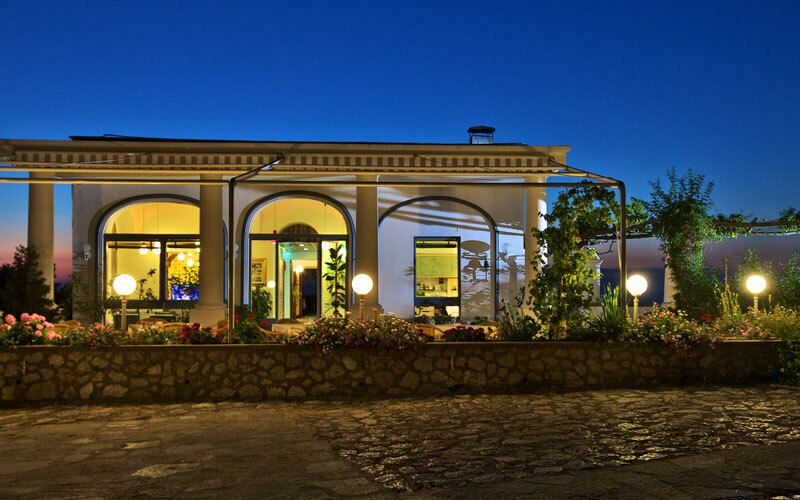 Ever since it first opened, in the early 1900's, this small, three star property has been offering visitors to Capri a winning combination of breathtaking views, heartfelt hospitality and surprisingly low prices. 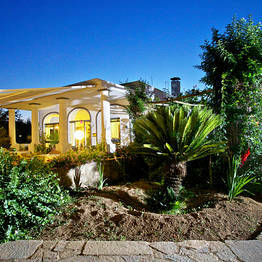 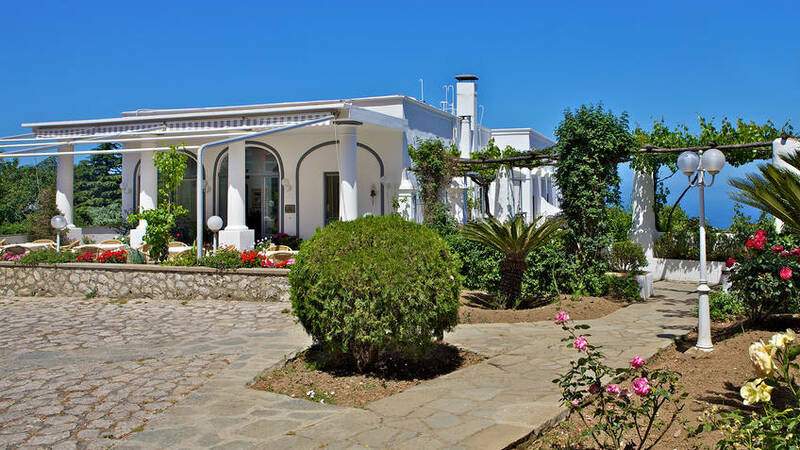 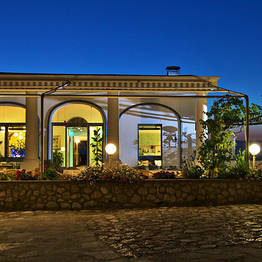 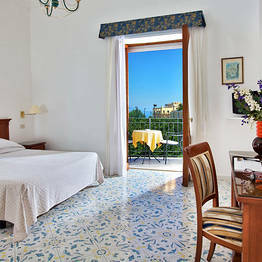 Looking for a hotel on the island of Capri which is central, panoramic and, at the same time, reasonably priced? 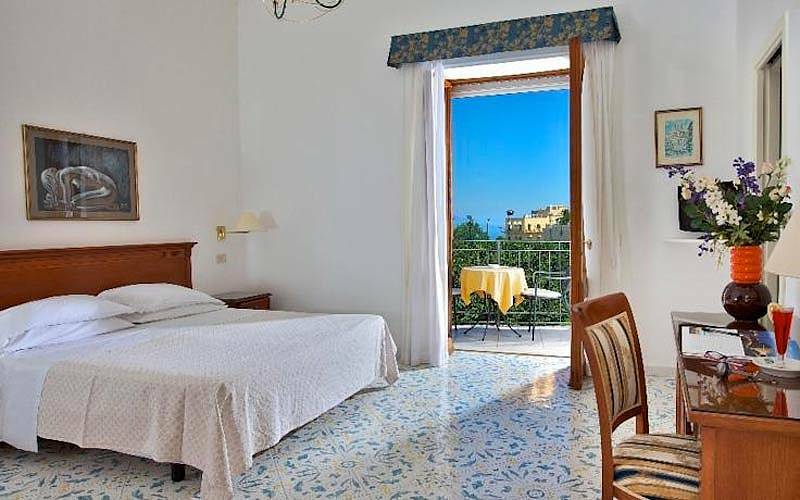 Stop searching and book your room at Hotel Bellavista now! 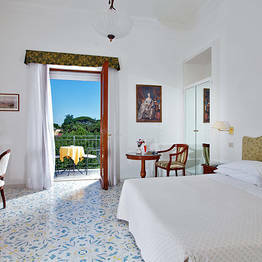 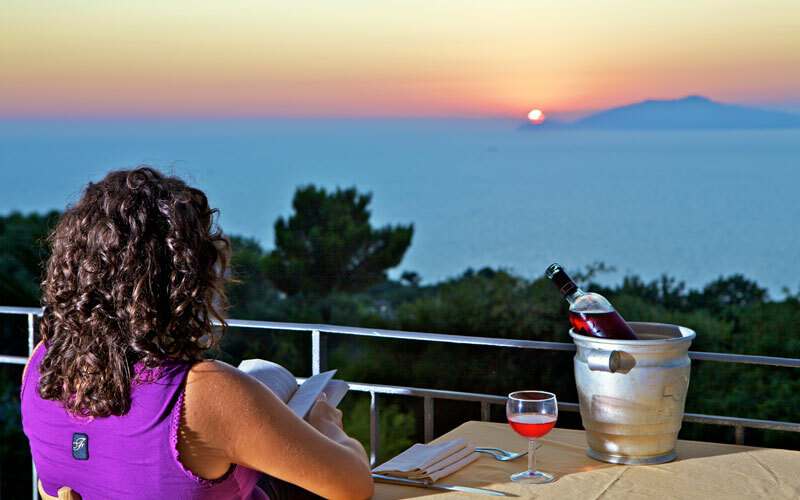 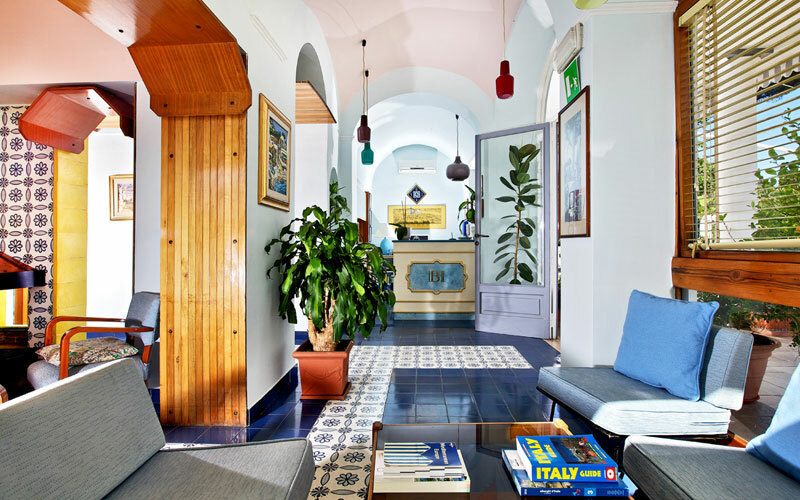 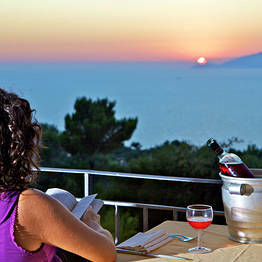 The aptly named Hotel Bellavista, enjoys magnificent views of the entire Bay of Naples. 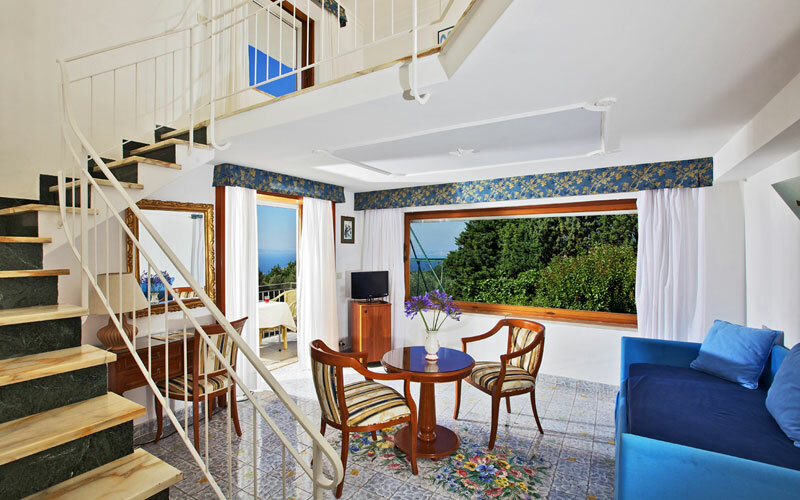 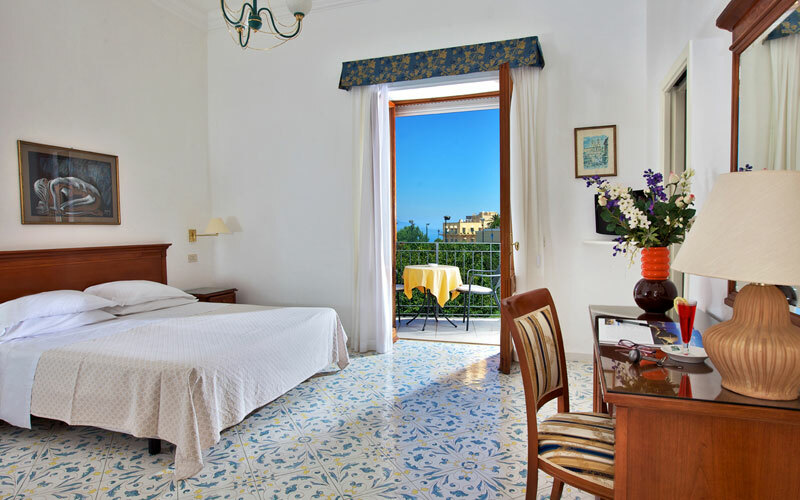 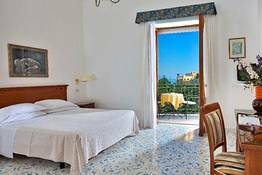 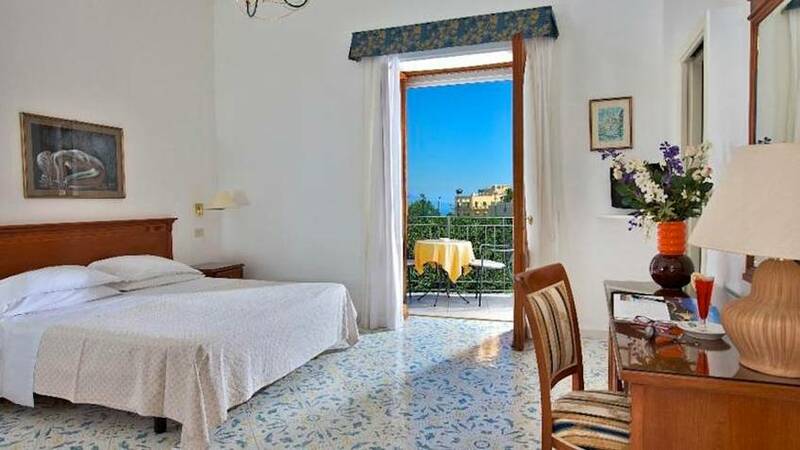 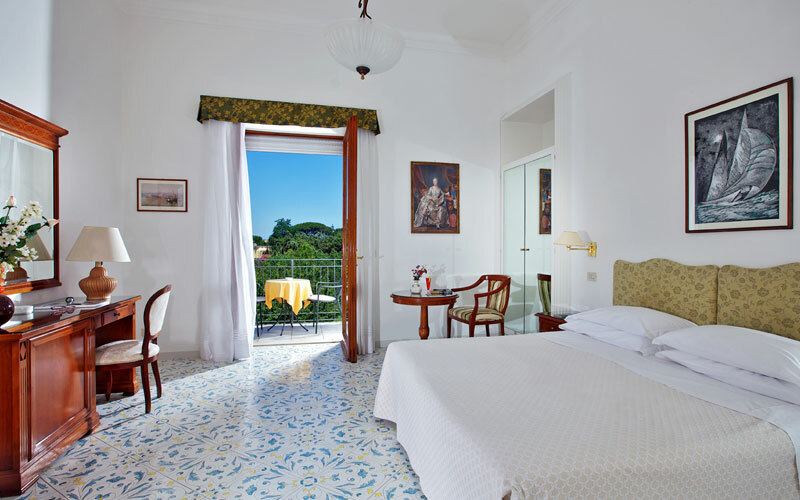 From almost all of the hotel's 15 bedrooms, tantalizing glimpses of the sea, Mount Vesuvius and the neighboring islands of Ischia and Procida, can be seen. 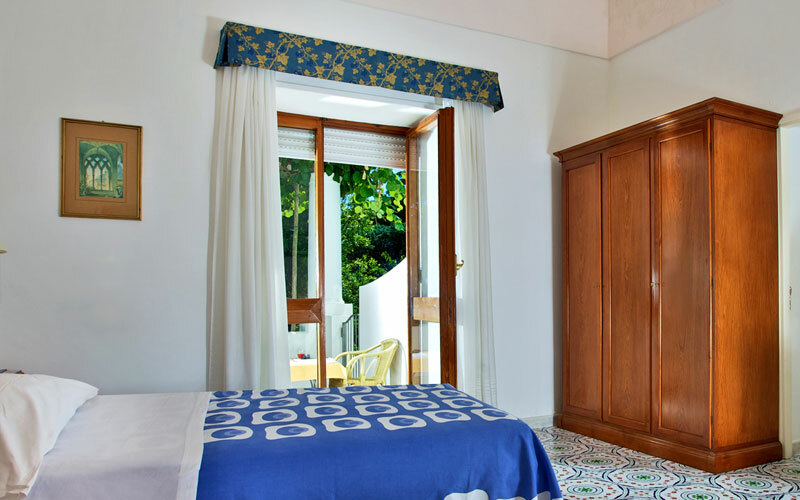 If you're traveling with the kids, book one of the hotel's split level, family rooms, all of which comfortably sleep up to 4 people. 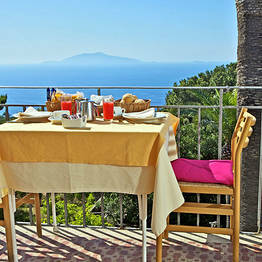 Wi-Fi connectivity is available, free of charge, throughout the property. 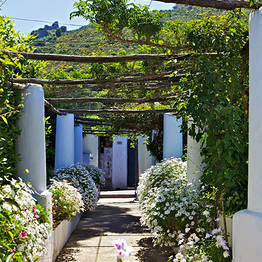 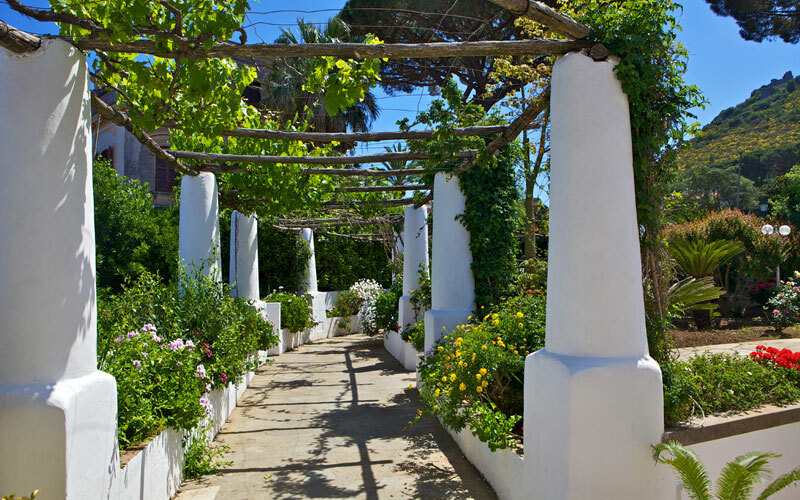 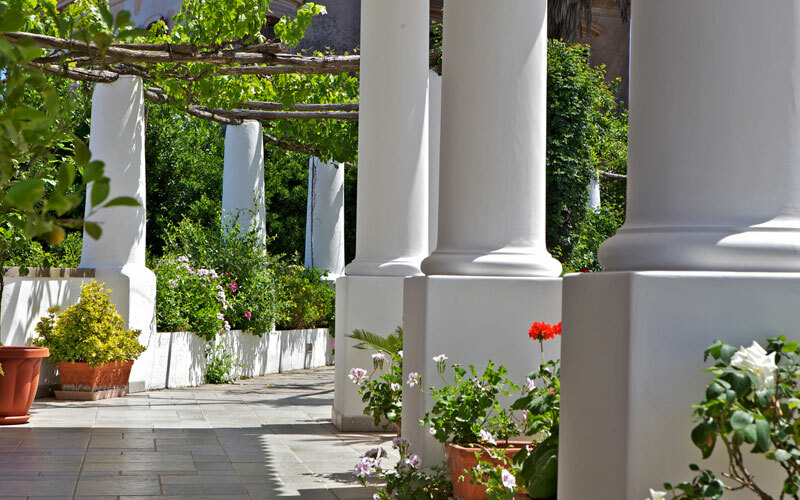 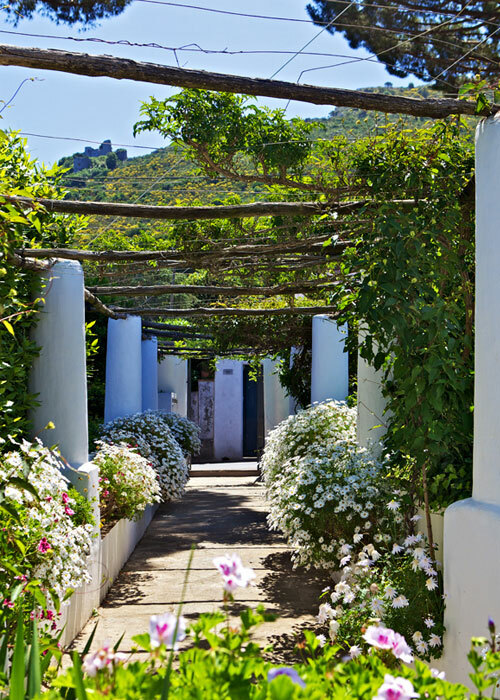 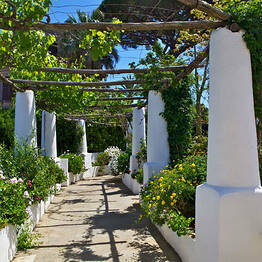 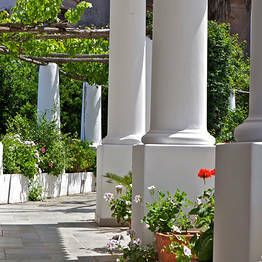 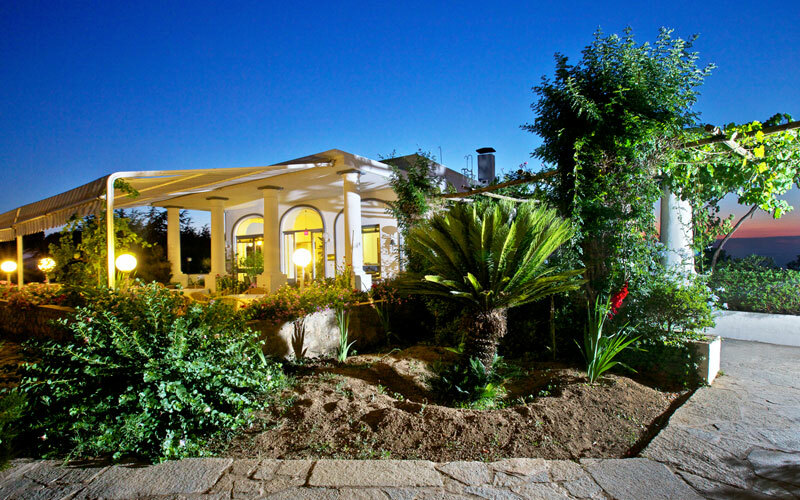 Via Bellavista's gorgeous Mediterranean gardens, guests access the hotel's tennis courts and five-a-side football pitch. 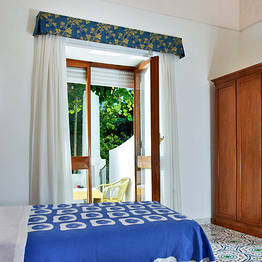 Those wanting to swim can do so, at a special, discounted rate, in the nearby swimming pool. 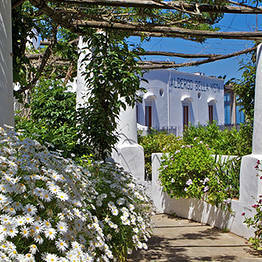 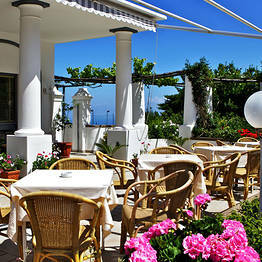 The historic center of Anacapri, brimming with typical restaurants, bars and shops, lies within easy walking distance. 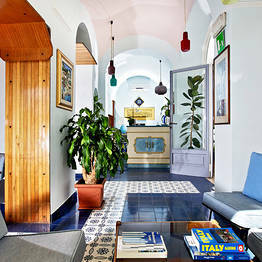 Want to go to the beach, the Piazzetta, or the port? 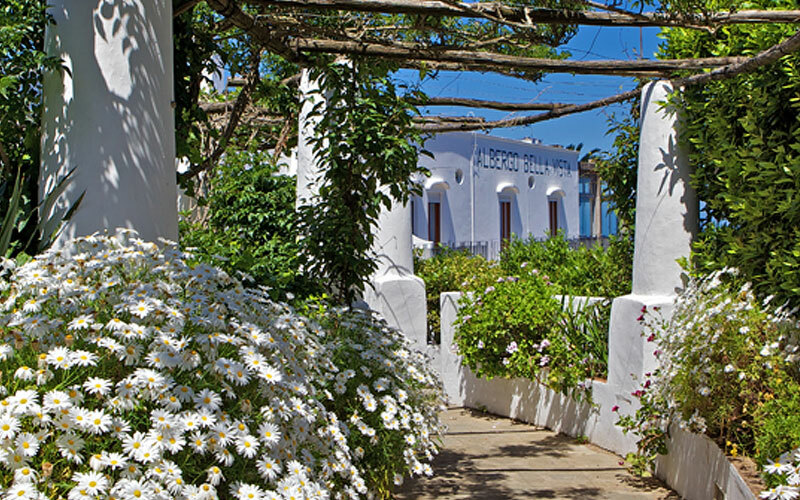 No problem, they're all just a short, cheap and incredibly scenic bus ride away! 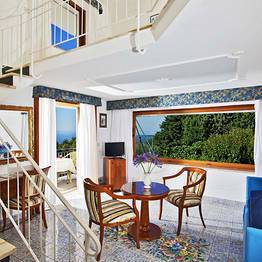 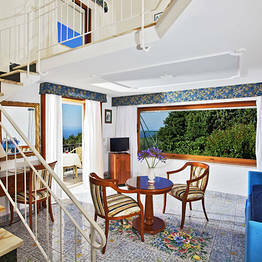 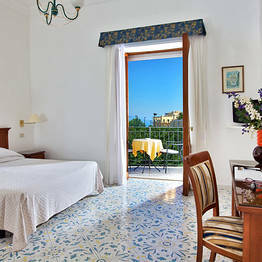 Book Hotel Bellavista on Capri.com now with no additional booking fees.